90 to the Pine Creek visitor center, to FS25, then on to FS99. but on my way home the wait was at least 8 minutes. Since the temp was about 80*, it was a minor inconvenience. yep, past McClellan they're waiting for you. But, it's an epic and unique ride with a strong and weird attraction. 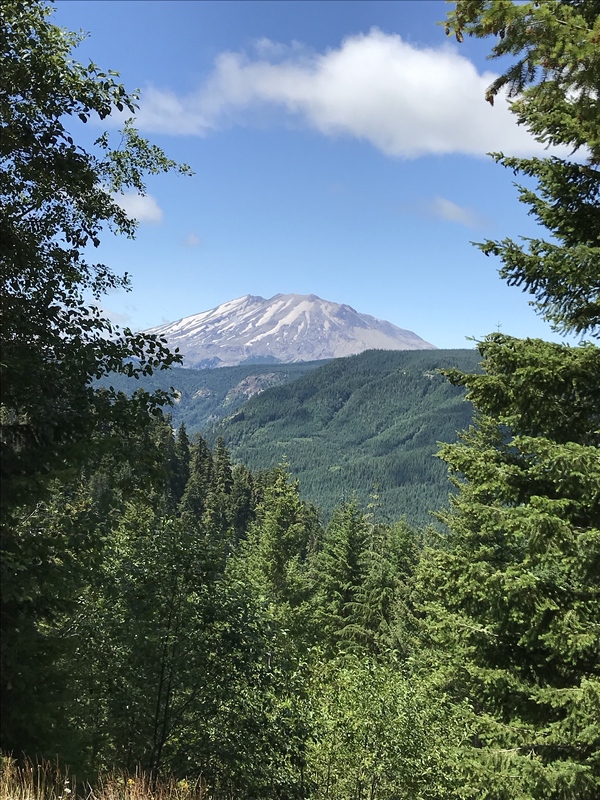 The joy of a cooler day became a point of concern when going up in elevation and into the shade of the Gifford Pinchot National Forest. but eating lunch is really messy with a full face helmet on! But the temps rose and the chill abated shortly after noon. slowing the pace each year too. Other rides of the same mileage are a cake walk compared to this ride. It's kind of like an enduro, really! First stop, McClellan Viewpoint. The trikes showed up after I got there, HONEST!! Pine Creek Visitor Center was open, but not many visitors at this point. A great view from Bear Meadows Viewpoint. 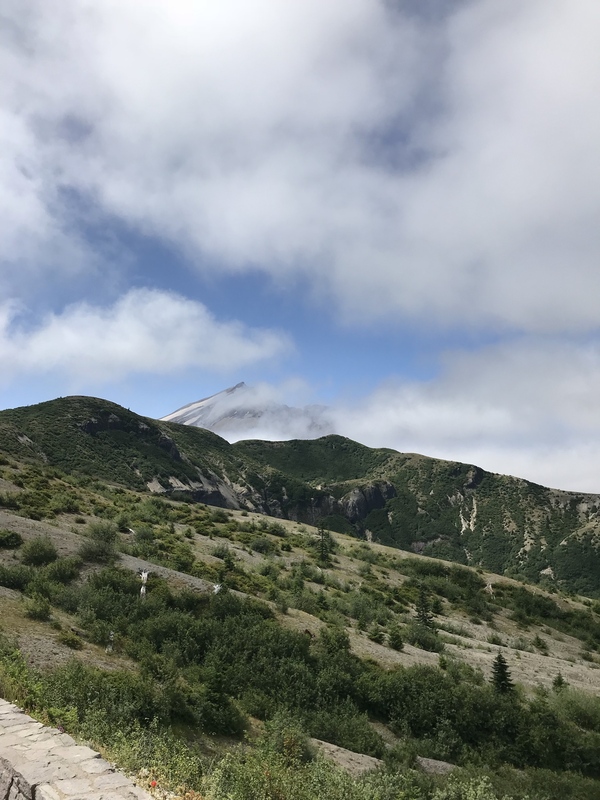 The clouds hid the volcano from the Windy Ridge area. Thanks for posting RD, I enjoyed the pics & writeup. Wish I could of been there Darn work -n- all ! Great photos. Thank you for posting. Has been a few years since I have been on those roads. Unfortunate about the poor road report - good to have the advance heads up. 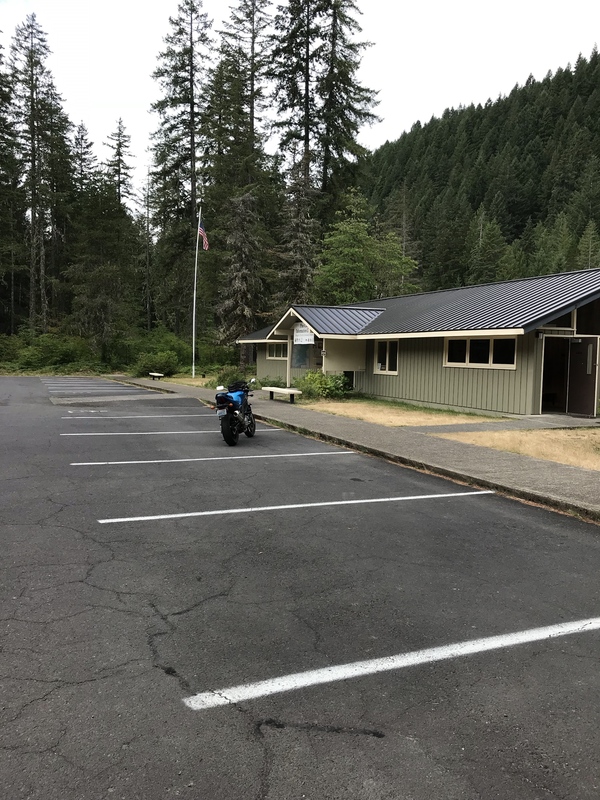 Thanks for the road report and nice pics! I'm hoping to get up there soon. I try to ride it once a year and going to try to ride it too windy ridge and back through Carson again instead of going to Randle for fuel, if I have enough fuel to do that. With the usual bad roads and lots of traffic I really don't care to ride that section to Randle again. Thanks for sharing Rocky. Great Picts. 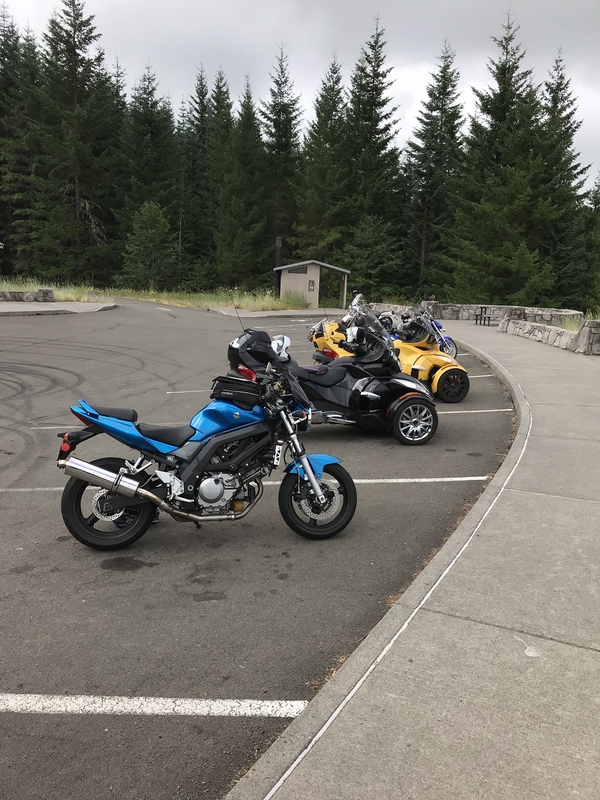 We were up in that area on Sunday ourselves, and came across those same Spyder riders to. They were kind enough to pull over and let us by. Didn't have time to stop and take picts myself, so thanks for picking up my slack in "ride documentation".